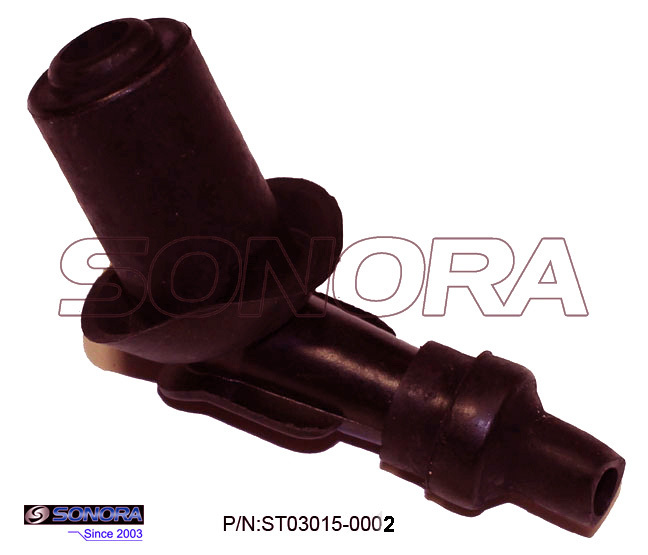 It's 45 Degree Rubber Scooter Spark Plug Cap.Besides, we also can supply 90 degree spark plug cap.Sonora Motors can supply various of spark plug cap, including the standard ones, performance ones, ones with the steel spark plug cap. The 45 Degree Rubber Scooter spark plug cap can fit many kinds of motorcycles, such as GY6 50CC 4T, GY6 125CC, Yamaha FZ15 motorcyles.It's 45 degree, it helps the bike ignite much more easily, and accelerate much faster. Looking for ideal 45 Degree Spark Plug Cap Manufacturer & supplier ? We have a wide selection at great prices to help you get creative. All the Rubber Spark Plug Cap are quality guaranteed. We are China Origin Factory of Universal Rubber Spark Plug Cap. If you have any question, please feel free to contact us.